The Northern Serengeti offers a chance to escape the crowds: this region of the park – wedged between the Central Serengeti and Kenya’s Masai Mara National Reserve to the north – is remote and relatively inaccessible, which means it sees fewer visitors. Travellers who make it to this corner of the Serengeti will be rewarded with gorgeous landscapes of green rolling hills, granite outcrops and acacia woodlands dotting open savanna, incredible wildlife, and most importantly, with massive herds of wildebeest and zebra making dangerous crossing of the croc-infested Mara River during the Great Migration in June and July and again in September, October and November. 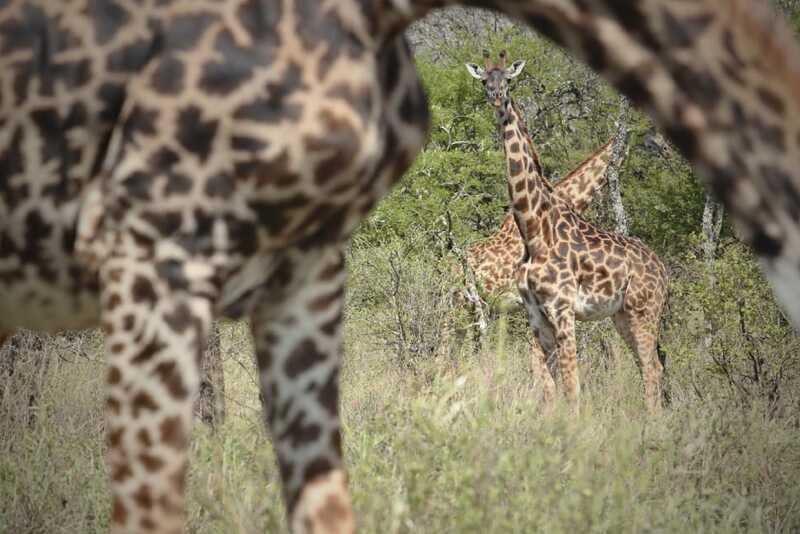 This sector of the park is also home to the greatest concentration of elephant in the Serengeti, as well as good numbers of lion, leopard, cheetah and hyena and diverse resident animals such as giraffe, topi, eland and hippo. 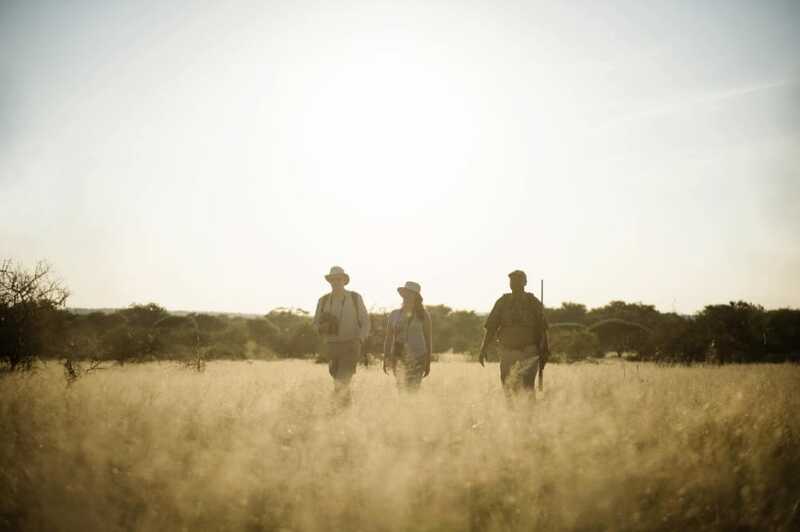 Lying in the park’s north eastern corner, the remote Lobo Valley is a particularly beautiful part of the park, encompassing open plains, rolling hills, dramatic kopjes and woodlands. It’s known for large elephant herds and the second largest lion pride in the Serengeti, and it’s not unusual to spot lion, leopard and cheetah on one game drive. The Lobo Valley is also home to year-round resident game such as giraffe, hartebeest, topi and buffalo, while the herds of the Great Migration pass through the valley in July and August moving north, and then return on their southwards journey between September and November. Outside of the park’s boundaries to the east and bordering Kenya’s Masai Mara National Reserve and the Ngorongoro Conservation Area, the Maasai-owned Loliondo Game Controlled Area is nearly a third of the size of the Serengeti itself. This private concession is an important wildlife corridor and the herds of the Great Migration pass through here on their southwards march from Kenya in November and December. The benefit of staying in lodges in the Loliondo is seeing all of the wildlife of the Serengeti but with the activities that are not permitted in the national park: night drives and off-road driving. Lodges also offer walking safaris and cultural activities with the Maasai. The Mara River, which courses its way through the Northern Serengeti and then into Lake Victoria to the west, is undoubtedly the highlight of this remote region of the Serengeti. The river is home to giant pods of hippos and attracts an abundance of game, from giraffe and elephant to leopard and lion. 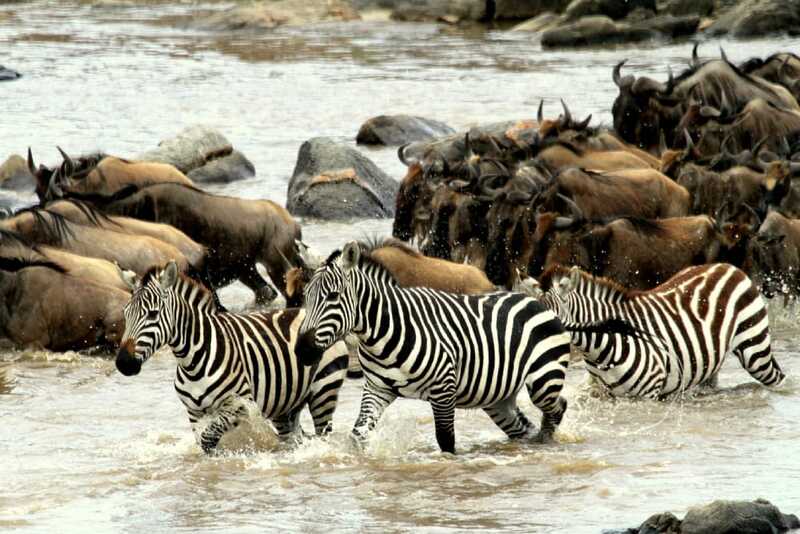 Between July and September, the Mara River becomes the site of thousands upon thousands of wildebeest and zebra battling currents and huge Nile crocodiles to reach the opposite bank, where they make their way north into the Masai Mara in neighbouring Kenya. These thrilling river crossings are a big highlight of seeing the Great Migration in action, and while across the border in Kenya these sightings can become crowded with game drive vehicles, there are far fewer tourists on the Serengeti side of the river. Walking safaris are a recent addition in the Serengeti, and there aren’t many places in the park where they are offered. One location is from Kogatende, near the Mara River. On a multi-day adventure, you’ll just carry a day pack, staying at temporary camps with comfortable beds and delicious meals prepared for you by camp staff. Walking in the wilderness is the ultimate way to experience the Serengeti’s wildlife and scenery, and going camping in the bush and sleeping under the stars definitely takes the usual safari experience up several notches. Go hot air ballooning one morning during your safari in the Northern Serengeti to be treated to sunrise views over the plains and 360-degree wildlife spotting from the air. The magical dawn flight ends with a lavish champagne breakfast when you land on the plains. The best months to visit the Northern Serengeti are June until October, while for Mara River crossings the peak months are from July to September. Lodging options are limited in the Northern Serengeti, as there is only a handful of permanent lodges in the area. During the peak months of the Migration, from July to October, mobile camps move into the area to provide the perfectly located places to stay to catch the exciting Mara River crossings. There are a few mobile camps and lodges in the Loliondo Game Controlled Area on their own private concessions. Lodging is largely in the high-end category, but there is one option for budget travellers – the Lobo Campsite – which is the only public campsite in the north. If you need to head south through the park after a stay in the north, a scenic – and adventurous off-the-beaten track – alternative to driving through the park is to head out of Klein’s Gate, drive through the Loliondo Game Controlled Area to the beautiful flamingo-dusted Lake Natron, the looming volcano of Ol Doinyo Lengai and the Crater Highlands, before entering the park again.